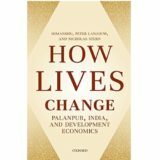 [CPR-CSH] Urban Mobility and Dengue in Delhi and Bangkok: What Can We Learn from Online Data? on Tuesday, 29 January 2019, 3:45 p.m.
Urban Mobility and Dengue in Delhi and Bangkok: What Can We Learn from Online Data? 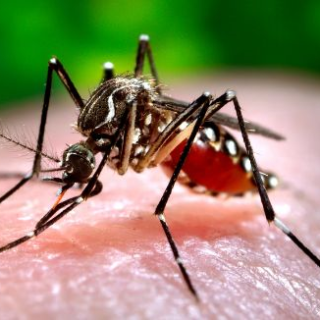 Emerging vector-borne diseases such as dengue intensify public health crises in the Asian mega cities of Bangkok (Thailand) and Delhi (India). The links between mosquitoes and the urban environment are well documented, but our understanding of human movement, as a key element of virus spreading, has yet to be fully explored as a research subject. Given the paucity inadequate or available institutional data, our research first focused on field surveys, and then on the collection, comparison and critique of data collected from major Internet platforms (Twitter, Facebook, Google, Microsoft). Their potential varies from one geographical area to another, still they shed light on the organisation and structure of the studied cities. Moreover, they highlight intra-urban interactions and time frames. However, such studies cannot be carried out without knowledge acquired from the field. Using the concept of activity space, we propose a method that uses Twitter data and field surveys to model the daily schedules of individuals, thus offering insights into mobility patterns. This is a first step in the development of an agent-based model of individual mobility. Alexandre Cebeillac recently defended a PhD in Geography from the University of Rouen (France) and the Centre for Social Science and Humanities (CSH) in New Delhi. His work focuses on urban mobilities in Delhi and Bangkok. Using data collected from internet, he analyses city structures, describes quantitatively the attractiveness of places and different individual mobility patterns. He has also developed an agent-based model of human mobility using the concept of activity space, which could lead to a better understanding of spread of diseases, such as dengue.